The history of Trapiche begins in 1883, in a small vineyard called El Trapiche, in the district of Godoy Cruz, Mendoza, where the grapes for the first fine wines were grown. With more than 130 years of experience, Trapiche has earned its place as a pioneering brand in the introduction of French vines, the production of varietal wines, the import of French oak barrels and the use of stainless steel tanks. 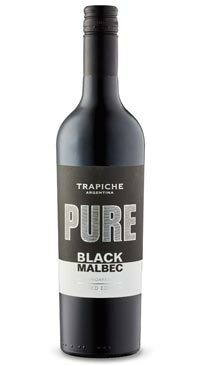 Trapiche Estacion 1883 are single varietal wines that express purity of fruit. The wines are elegant with good concentration. Sourced from the foothill vineyards in the Uco valley, this red pours an opaque ruby and offers aromas of blueberry, leather and plum. The palate is medium-bodied and dry with medium acidity and soft tannins; expect flavours of dark fruit and milk chocolate followed by a lightly spiced finish.